I'm a programmer, grinner, motorcyclist, and all around swell guy. I'm currently accepting fun projects, new friends, and warm cookies. I've been spending my recent days pretty heavily inolved with work, friends, and side projects. I'm currently working on a variety of projects, and doing some consulting work. To learn more about what I've done in the past, and what I plan to do take a look at the professional section. At the top of this page, you'll find several options. Please pick whichever is easiest. Here are the languages and syntaxes I primarily work in. I'm always open to learning new things. Here are a pile of frameworks and applications and utilities that I currently keep in my toolbelt. A place I make some notes about technology. 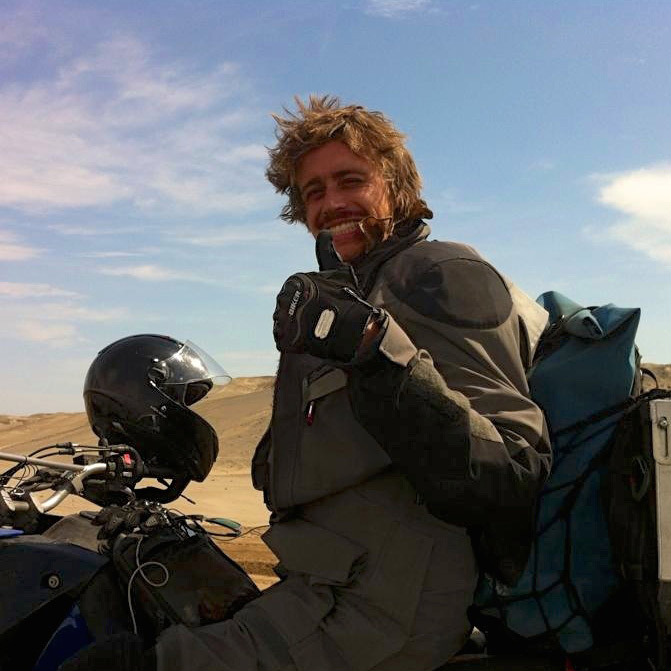 I rode a motorcycle from San Francisco to Buenos Aires around 2013 to 2014, all the pictures and stories are here. A tool to send encrypted messages, along with riddles that decrypt them.